Kouzes and Posner's Five Practices of Exemplary Leadership is the most trusted and proven leadership paradigm in the business world. 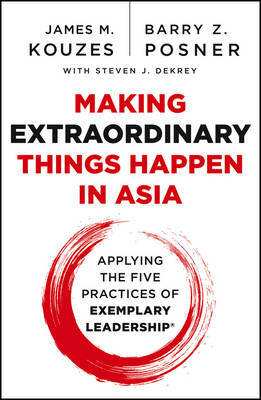 Making Extraordinary Things Happen in Asia focuses on the unique ways leaders in Asia have applied the Five Practices and documents their success with it. Using actual case studies and first-person experiences, the book examines the Five Practices framework, shows how the behaviors of individual leaders make a difference, and reveals what leadership in Asia looks like on a daily basis. Each of the Five Practices is supported with five or six case studies illustrating what the Practice looks like on a behavioral level. After examining the Five Practices, the book then reveals what actions would-be and current leaders in Asia can do to improve their leadership skills and effectiveness. For leaders and aspiring leaders of Asian organizations and business, Making Extraordinary Things Happen in Asia is an invaluable guide to long-term leadership success.